Material: Pure and High-Quality Water-Resistant Nylon. Every woman's every Women Shoulder Bag, simple but roomy and spacious. 1. Every woman's every day bag, simple but roomy and spacious. 2. Nice shopping bag and traveling bag,to meet your different demands in different occasions . 3. Large capacity dimensions and multi-pockets desing,Front. Back. Inside. Two big compartments inside with 2 small "pockets" for 2 phones :) and one medium one for purse. The front pocket with magnetic button looks small but it actually goes all the way down n to the side so it is a big deep pocket. It even has zippered compartment on the bottom of the bag that you can open from outside. It's layered with plastic. there is always enough space to put more necessary things inside the bag. 4. Multipurpose - It makes a great general-purpose cargo bag or carryall, which intended use in gym, sports, travel, luggage, carry-on bag, hiking and camping. *Please check the size on product description before purchasing.Due to light and camera, there is some color difference between the real item and the pictures, please be considerate and tolerant! 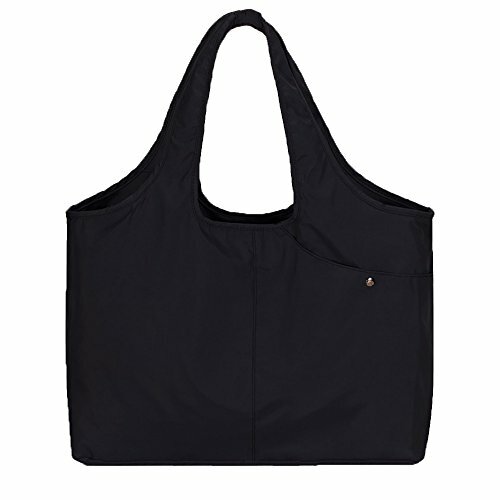 Multipurpose - This Women Shoulder Bag makes a great general-purpose cargo bag or carryall, which intended use in suitable for daily,gym, sports, travel,work, luggage,beach bag, carry-on bag, hiking and camping. If you have any questions about this product by Volcanic Rock, contact us by completing and submitting the form below. If you are looking for a specif part number, please include it with your message.